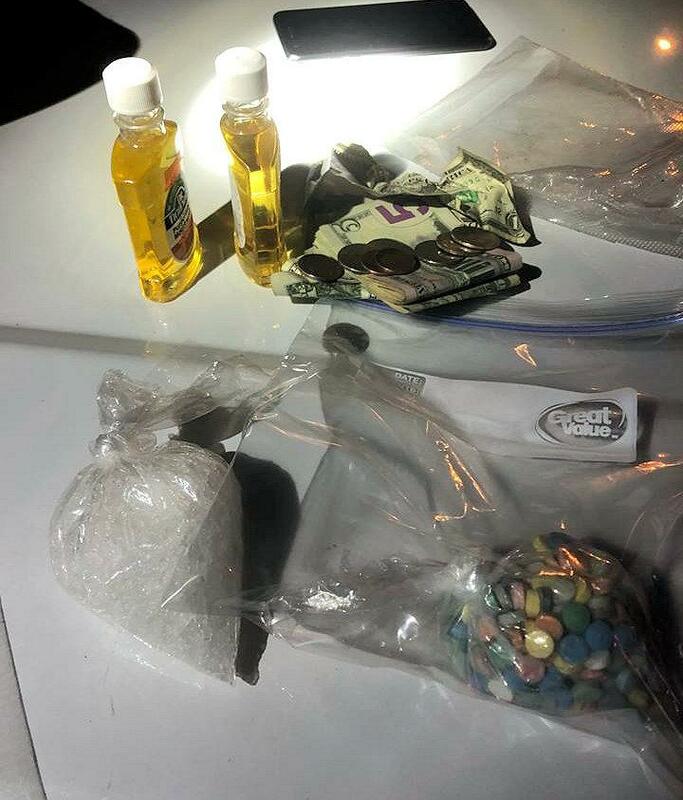 Driver Resists, Found to be in Possession of Meth and More, LIVINGSTON, November 19, 2018 - Shortly after 11 pm on November 17, 2018, Trooper Colton McQuilkin, with the Texas Highway Patrol, was on Patrol on South Houston (146) in Livingston when he spotted a gray 2008 Chevy Tahoe speeding (48 mph in a 40). Trooper McQuilkin turned on his lights and initiated a traffic stop on the vehicle, driven by Michael Lee Glenn, 37, of Center. Glenn was slow to stop and finally pulled to the shoulder of the entrance ramp of Business 59 and Highway 59. Out of concern for safety, McQuilkin instructed Glenn to pull further ahead to a safer area. Glenn proceeded onto US-59 and pulled over on the right shoulder next to USA Pets (near the radio station). When McQuilkin spoke with Glenn, he observed that Glenn was acting very nervouse (Glenn also had 3 kids in the back seat of his vehicle, ages 5, 7, and 10). Glenn told McQuilkin that his name was James Glenn. When McQuilkin radioed in Glenn's information, there were no records found for James Glenn. A short time later, it was learned that his name was Michael Glenn. By now, McQuilkin was joined by Trooper John Allen and Deputy Austin McCracken with the Polk County Sheriff's Office. 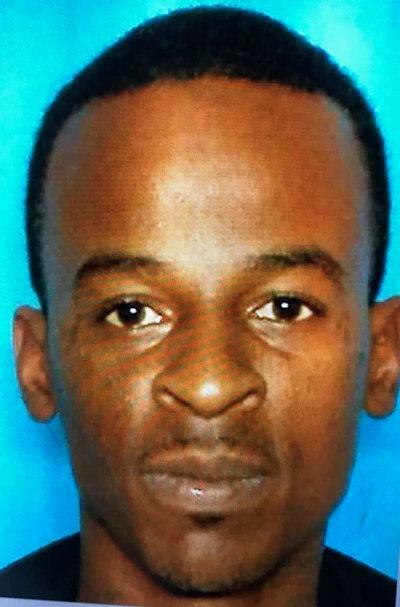 Through dispatch, McQuilkin learned tha Glenn had a felony warrant out for his arrest. When McQuilkin was placing cuffs on Glenn, Glenn decided to resist. Glenn pulled away from McQuilkin and ran across the north-bound lanes of 59. McQulkin and Trooper Allen quickly caught Glenn and pulled him to the ground in the center median. Glenn continued to resist. McQuilkin advised Glenn that if he didn't stop that he was about to get tased. Glenn tried to grab McQuilkin's taser gun but didn't succeed. McQuilkin and Allen were able to cuff Glenn behind his back. They loaded Glenn into the back of Deputy McCracken's patrol unit. Glenn was found to be in possession of large amounts of methamphetamine and ecstasy pills that were tucked under his waist band. Michael Glenn was transported to Polk County Jail and charged with: resisting arrest, failure to identify, two counts of possession of a controlled substance (both felonies), attempting to take weapon from officer (felony). The three kids were turned over to Child Protective Services. Glenn's vehicle was recovered by Ken's Towing and was stored at Harrison Body Shop in Livingston. 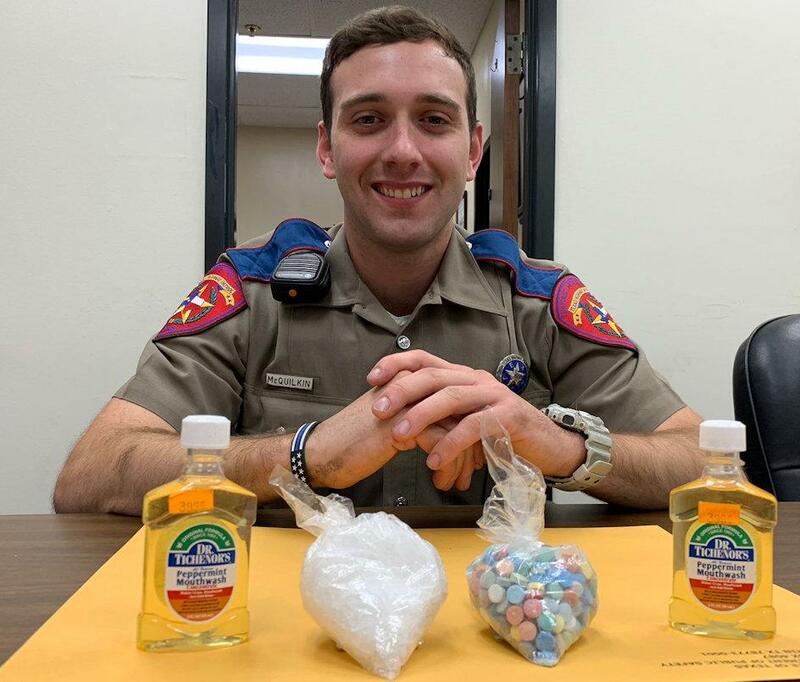 Young Trooper, Colton McQuilkin is all smiles after getting a large amount of dope off the streets.